Every photography enthusiast understands how important Electronic Image Stabilization can be for the perfect picture. The Huawei Nexus 6P and the LG Nexus 5X both come with the same camera hardware, but the latter does not come with this neat feature. If you are disappointed to not find Electronic Image Stabilization on Nexus 5X, don’t be disheartened just yet. Some users have found out a way to unlock EIS on Nexus 5X by simply editing the build.prop file from the root directory. Obviously, in order to access the root directory, you will need to root your Nexus 5X. To root your Nexus 5X, you can follow our step-by-step rooting guide. You can also download a free root enabled file manager like ES File Explorer from the Google Play Store. Once you have downloaded your preferred root-enabled file manager, open it and grant it Superuser permission. 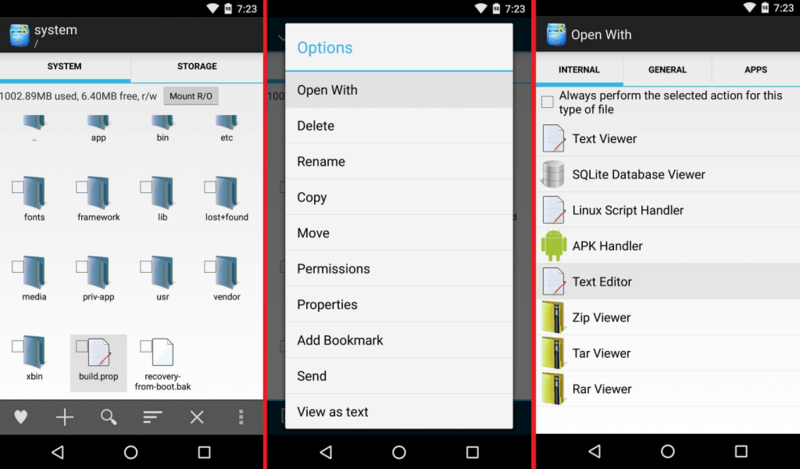 Go ahead and navigate to the root partition of your device, which is the highest folder in the folder tree. From the root directory, access the “System” folder and make sure that the directory is mounted as read/write (Mount R/W). Scroll down to the bottom of the folder to find a file named “build.prop” and long-press it. On the “Options” menu that appears, press “Open with” and then select “Text Editor” from the pop-up window. Once you have entered the code line mentioned above, press the menu button and save the changes you have made. Restart your Android device once you have saved the file and exited the file manager app. Once you have edited the build.prop file and rebooted the device, it is time to fire up EIS feature. 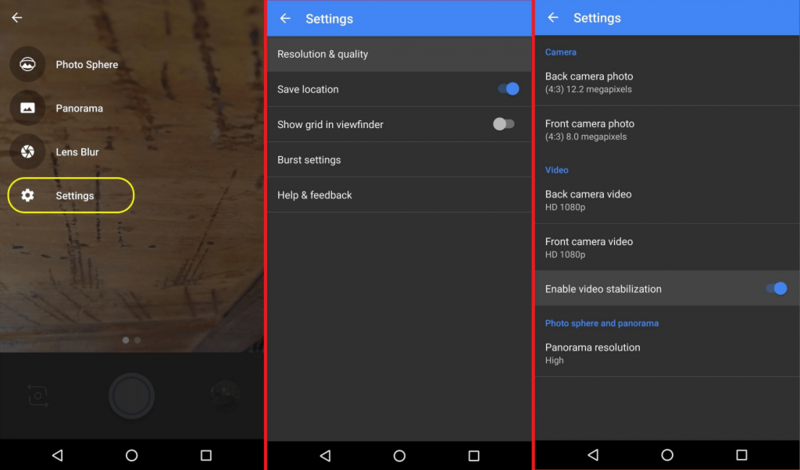 Head over to the stock Camera app on your Nexus 5X and head over to the “Settings” tab. Press “Resolution & quality” and enable the toggle switch next to “Enable video stabilization”. Your Nexus 5X will now be able to make the most out of EIS and keep all those shaky pictures away. Have you already unlocked Electronic Image Stabilization on Nexus 5X, or do you need more reasons to unlock your Android? Let us know your thoughts in the comments below.